When I was growing up, I was one of 6 kids. Mom didn’t always have the time to hang out with the kids. We had a pretty big house, so mom spent a lot of time cleaning it, cooking, sewing our clothes and a ton of other tasks. When mom did have some spare time, she often found something fun for us to do as a family. We had a really nice park less than a 10 minute drive from our house. 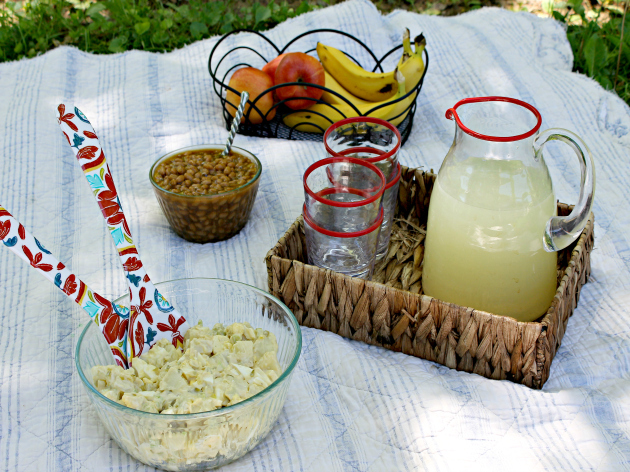 We would pack up a picnic basket, grab a quilt and have a family picnic. One of my favorite side dishes mom made was her potato salad. It was the perfect side dish to go with her fried chicken and biscuits. When I became an adult, one of my signature dishes I would bring to get togethers was my moms potato salad. I have tweaked her recipe a bit, but it is basically her classic american potato salad recipe. I was thinking about mom a few days ago and remembered those picnics and it made me smile. I decided to get the family together for an impromptu picnic at the park down the street. Of course I had to bring fried chicken, biscuits and my classic american potato salad. This recipe is quite simple. As with any recipe of course, you want to make sure you have all of your ingredients. So it’s time to go shopping. Shopping of any kind, even just simple grocery shopping, can be a mind boggling experience of confusion and frustration. Sam’s Club is out to the way to change the way you shop. Their concept of Scan & Go shopping will make your life so much easier and save you so much time that you won’t know what do with the extra time you have after you’re done shopping. It’s really simple.First things first. Download the Scan & Go app onto your smart phone. It is available on both Apple and Android operating systems. Make your shopping list before you go so that you are sure you are not forgetting anything. Here’s your list. Place potatoes in a pot with water to cover. Bring to a boil, cover and simmer 25 to 30 minutes. Drain, rinse under cold water and drain again. Cool slightly. Cut warm potatoes into ¾-inch cubes . Layer them in a bowl, seasoning with salt and pepper. Cut eggs and celery into ¼-inch diced cubes. Add relish. Add to potatoes ad stir in mayonnaise and mustard until everything is combined. Chill, covered, before serving. with your phone as you put them in your cart. This not only allows you track everything you have got in your cart but it also keeps a running tally on how much you are spending. The real magic of the Sam’s Club Scan& Go app happens when you’re done shopping. Once you’re finished shopping you simply pay through the app on your smart phone, bypass the registers and go straight to the exit. Things kinda go back to normal at this point. The Sam’s Club associate at the door will check the receipt on your phone and send you on your way. How cool is that. The only way this could get any easier is if someone else does your shopping for you. So get your list and head to Sam’s Club for a shopping experience like no other and take your family out for some quality time with some great homemade food. 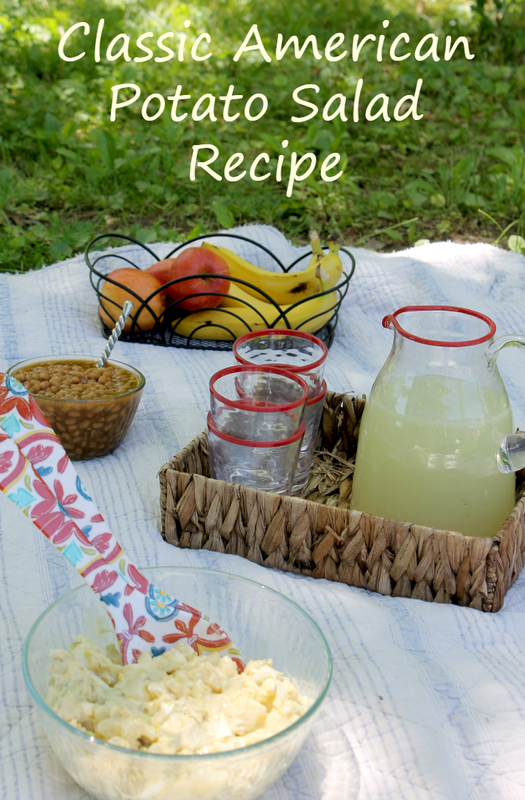 What is your go to dish to bring to your picnic?